To make it more interesting, the pictures are sorted by age, starting off with the oldest and progressing to more recent shots during the week. 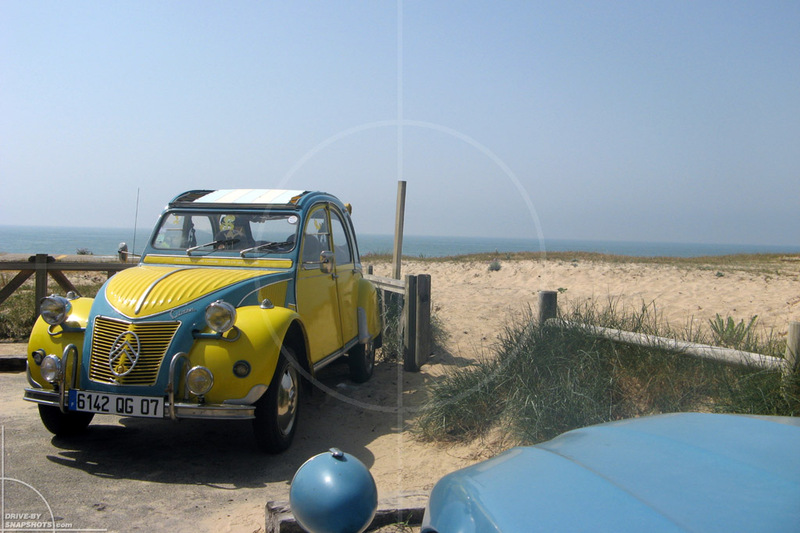 Three topics are going to be covered every day: matching backgrounds, race cars and other vehicles. 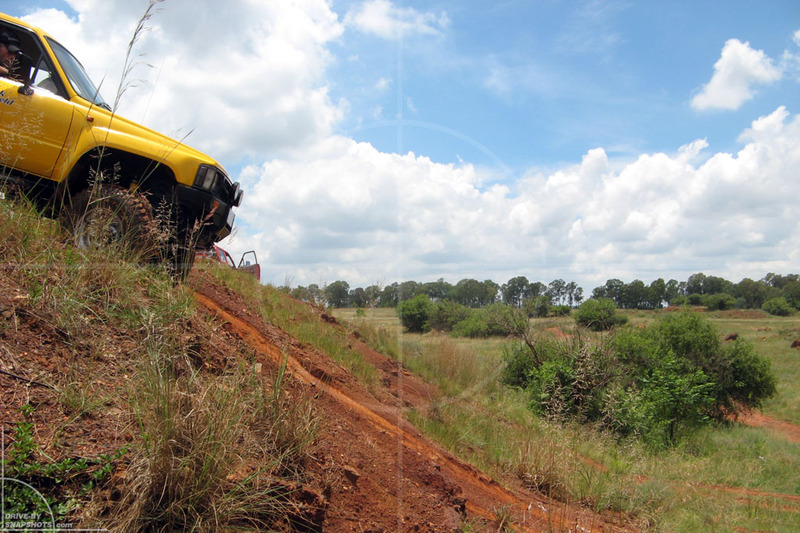 The Toyota Hilux Bakkie pictured here might have blue lettering on the door, but I choose the photograph because the sky provides a spectacular background to set off the 4×4, descending a steep hill at Kallies Quarry. The nicely weathered locomotive is resting near Hartbeesport Dam. 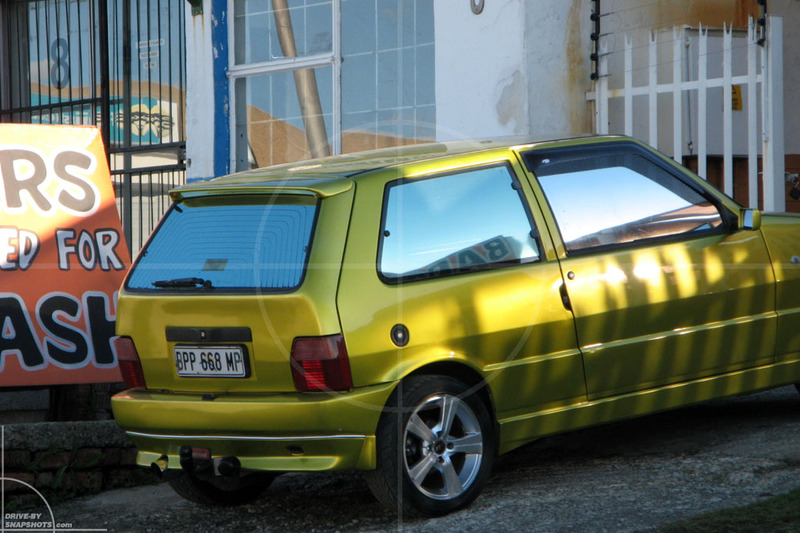 Europeans will think they see a SEAT Ibiza with a wrong grille – but this vehicle was indeed branded and sold as a Volkswagen Polo in South Africa! 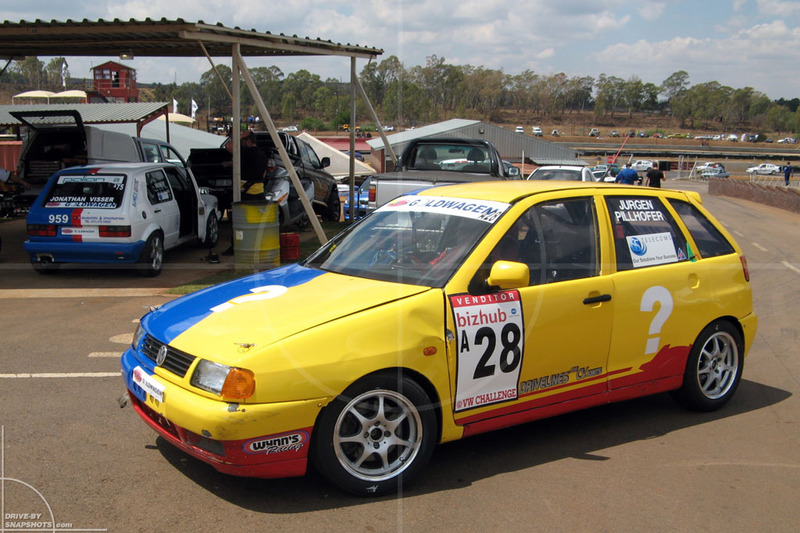 I found it at Zwartkops raceway, just like the Porsche 924 yesterday. 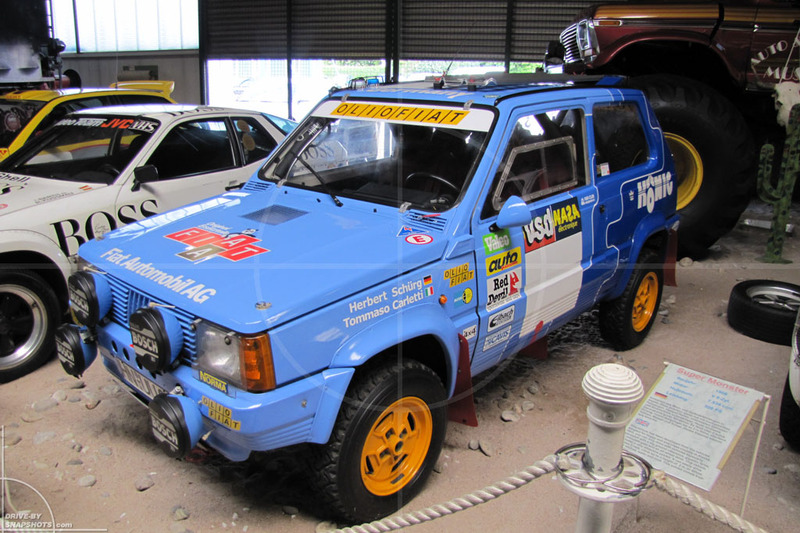 This FIAT Panda 4×4 lives in the Auto & Technik Museum in Sinsheim / Germany. The little gem easily won it’s class at the 1983 Rallye in Algeria and competed in the Paris Dakar Rallye. 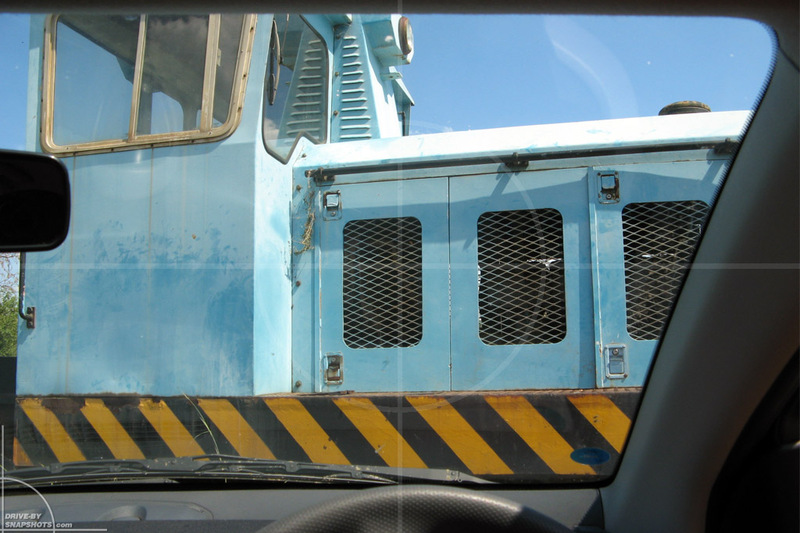 If you are interested in the background story, check out what the builder and driver has to say. 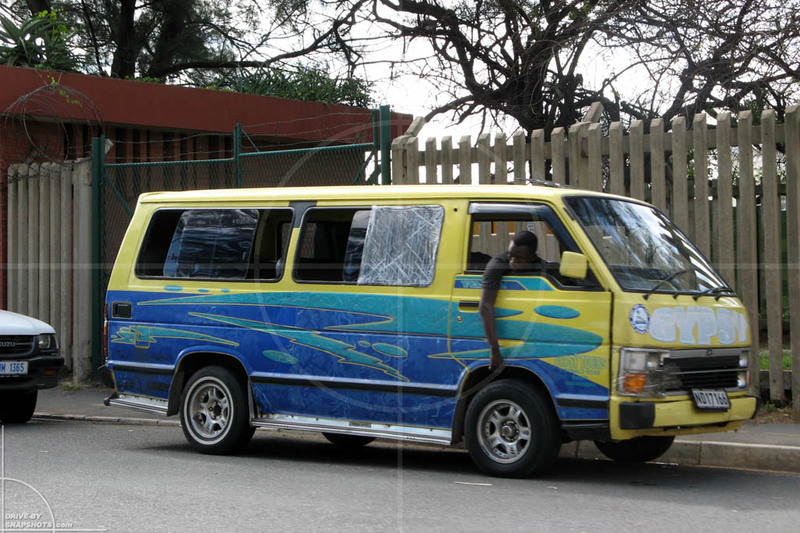 Arriving in Durban later that day, we found a matching Toyota Hiace Siyaya Taxi. The window wasn’t tinted, though, but rather wrapped in clear kitchen foil.